The design of this Irish t-shirt allows you to choose the established date (year only), such as a birth year or the year of a historical event. You may also select any name! 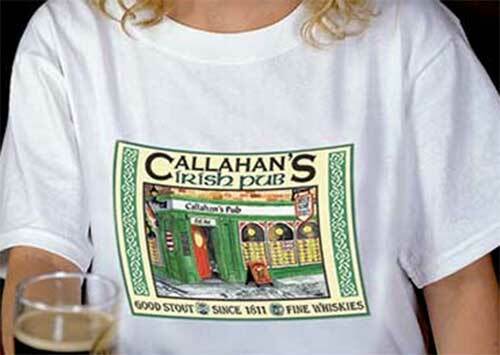 This personalized Irish t-shirt designates the wearer as the owner of their own Irish pub. 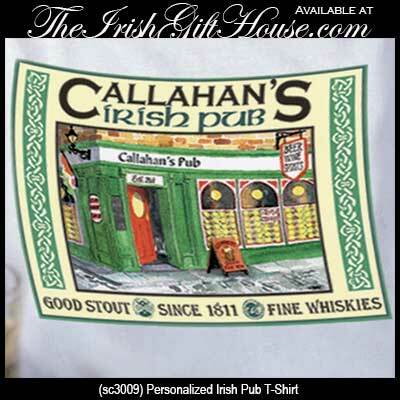 A full color Irish pub design, that is personalized with any name and any established date, is imprinted in the center of this pre-shrunk 100% cotton white shirt. 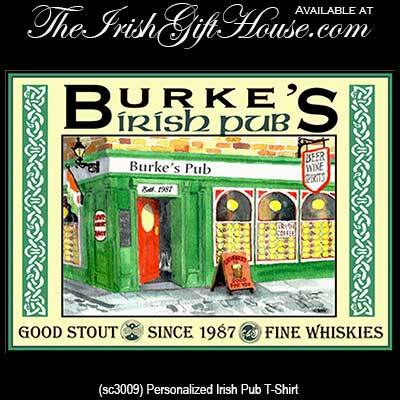 The Irish pub t-shirt is a special order item, from The Irish Gift House, that ships directly to you or to the gift recipient from our supplier; please allow 2 weeks for delivery. This personalized Irish plaque features the Claddagh along with an Irish blessing and it is further enhanced with your family name or message inscribed on the antique copper finish.